Despite analyst chatter about Las Vegas making a recovery this year, led by MGM Resorts, shares of the company are down over 3%. MGM’s revenue rose to $1.47 billion from $1.45 billion but overall its earnings report was on the weak side. MGM has fallen short of earnings forecasts in three of the past four quarters. Bank of America Merrill Lynch and JPMorgan had recently upgraded their outlooks for the company on hope of a stronger earnings report. Shares have gained more than 4.6% this year. 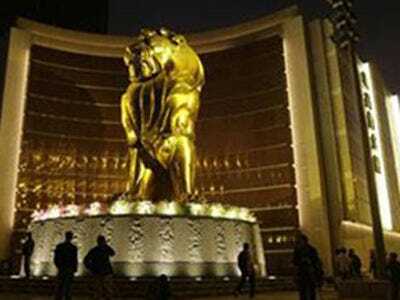 MGM CEO Jim Murren said in a press release he believes the company is positioned to have a better year than 2010. Last week Wynn Resorts’ shares were up after coming out ahead of its earnings with a revenue of $114.2 million for the year which analysts said was partly driven by growth in Vegas. Now of course revenue growth in Vegas is modest compared to these companies’ operations in Macau but analysts believe Las Vegas’ stabilizing strength will drive improvement for the industry as well.